You name it, we’ve got it in our USA Destination travel themed category. 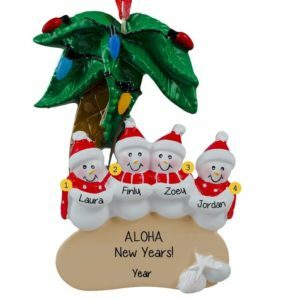 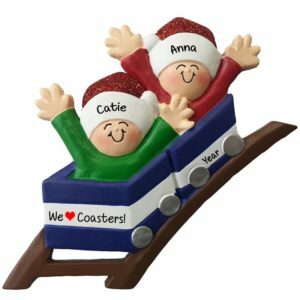 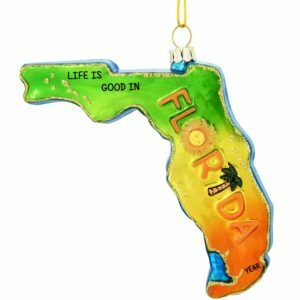 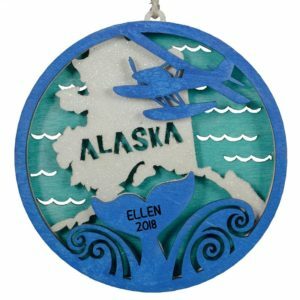 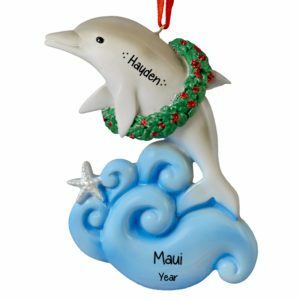 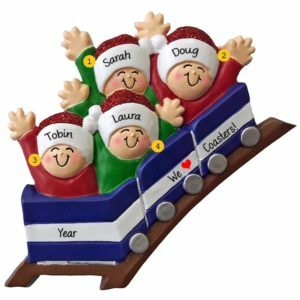 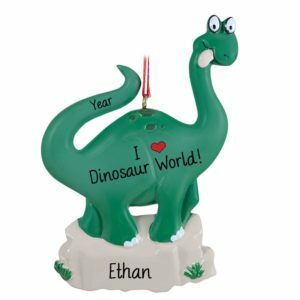 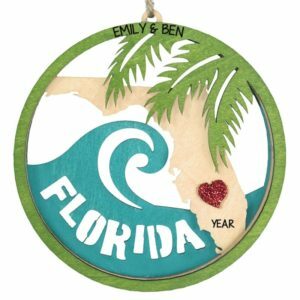 From Alaska to Hawaii, From Washington State to Florida, Personalized Ornaments For You has the perfect keepsake to help you remember your travels in this great land of ours. 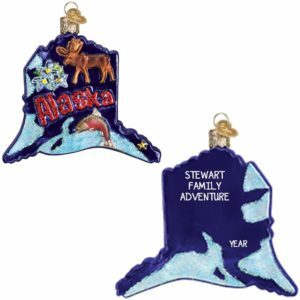 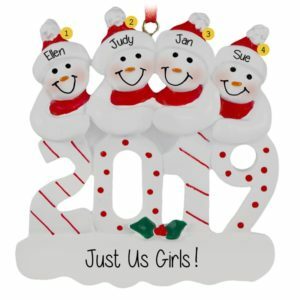 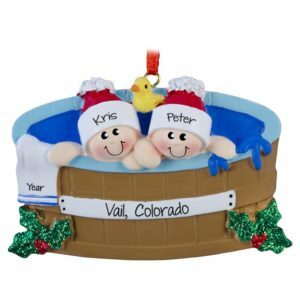 If you are looking for specific state ornaments, we have a wide selection. 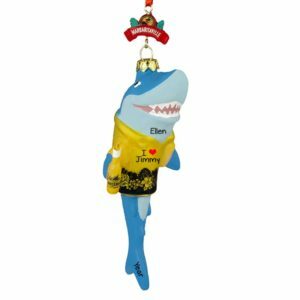 We have more symbolic items, such as food and drink, animals, and activities which are suggestive of various states and cities. 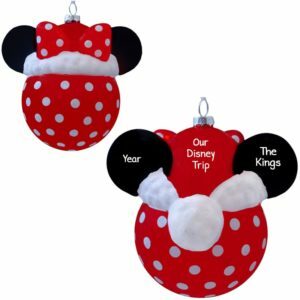 Perhaps baseball is your passion, and your road trip involved visiting ballparks and stadiums. 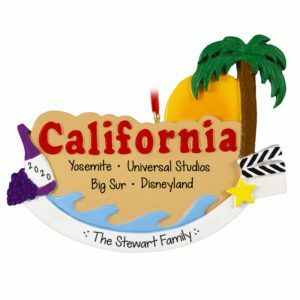 Our selection of travel related items includes cruise ships, suitcases, and roller coasters, just to name a few. 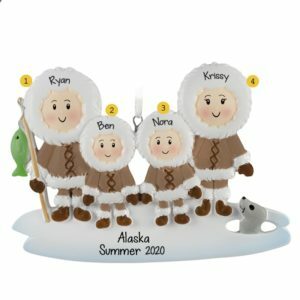 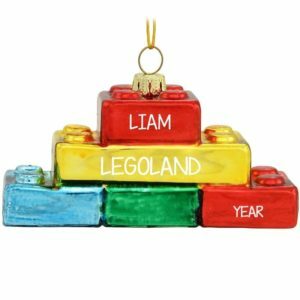 We even have hoodie sweatshirt ornaments that out talented elves will happily customize with the location of your choice. 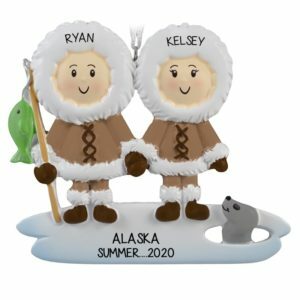 Our adorable traveler and travel couple ornaments are just waiting for names and destinations, and a Christmas tree to call home. 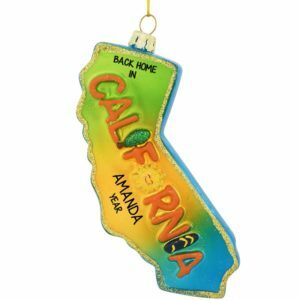 From coast to coast, we have all your travel related mementos right here!